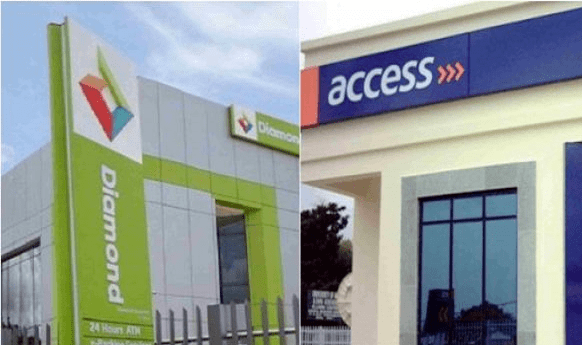 DON Etiebet, a former minister of Petroleum, is challenging the merger between Access Bank and Diamond Bank over alleged fraud cases involving the former. He alleged that the bank did not disclose the fraud cases to the regulators during the merger process. In a petition dated March 19, Etiebet alleged that Access Bank hid two financial fraud cases it is involved in from the Central Bank of Nigeria, CBN, and the Securities and Exchange Commission, SEC, which have the statutory obligation to approve the merger. He argued that if the regulators had got wind of the cases, they would not have given approval. Etiebet, who is a shareholder of Access Bank, alleged in the petition that Top Oil & Gas Development Limited, his company, has a fraud case against the bank, involving a steel company. He accused Access Bank of selling off the company’s steel worth N2.5 billion. But Access Bank, in its statement to the Nigerian Stock Exchange, said its involvement in the deal began in 2015 when it availed credit facilities to Metal Africa Steel Products Limited to import billets and machinery for the expansion of the company’s factory. 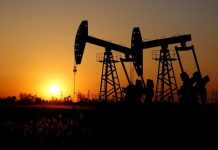 The bank said it later discovered that the company cleared the goods without payment of the appropriate customs duty. 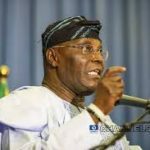 To protect its depositors’ funds, Access Bank then appointed a receiver/manager who took over the operations of the business and paid the appropriate Customs Duty on the billets. “The receiver/manager subsequently obtained a court order from the Federal High Court and sold the billets and distributed the proceeds amongst the beneficiary banks,” the statement signed by Sunday Ekwochi, secretary to the bank said. The case is still in a High Court in Sagamu, Ogun State. But Etiebet said the particulars of the case was not disclosed to the regulators during the merger processes, and that his decision to seek the nullification of the merger was in pursuant to the provision of Section 124 (3) of the Investment and Securities Act 2007 which ‘empowers any person to voluntarily file any document, affidavit, statement or other relevant information in respect of the merger. Etiebet drew the attention of the SEC to the fact that Access Bank and Herbert Wigwe, its managing director and other executive directors are currently facing criminal charges before the High Court in Shagamu, Ogun State and the High Court in Ikeja, Lagos over the case. He stated that the bank had surreptitiously omitted and failed to disclose the pendency of the criminal charges having known that doing otherwise would have led to the SEC and CBN declining approval of the merger. The former minister had in the petition requested the SEC to revoke the approval-in-principle and cancel the merger given the power it derives from Section 127 Sub-Section 2 of the Investment and Securities Act 2007. Etiebet had also instituted a suit which sought to restrain Access Bank, Diamond Bank, the SEC and CBN from continuing with the Scheme of Merger pending the hearing and determination of the suit. However, the court presided by Justice Muhammad Liman of the Federal High Court, Ikeja Division declined the application for an injunction, hinging on its observation that the application for the injunction was not ripe for hearing because the merger entity had yet to commence operation. The court adjourned the case until May 7, 2019, for hearing of the substantive suit and ordered the application for an injunction to be kept in abeyance.